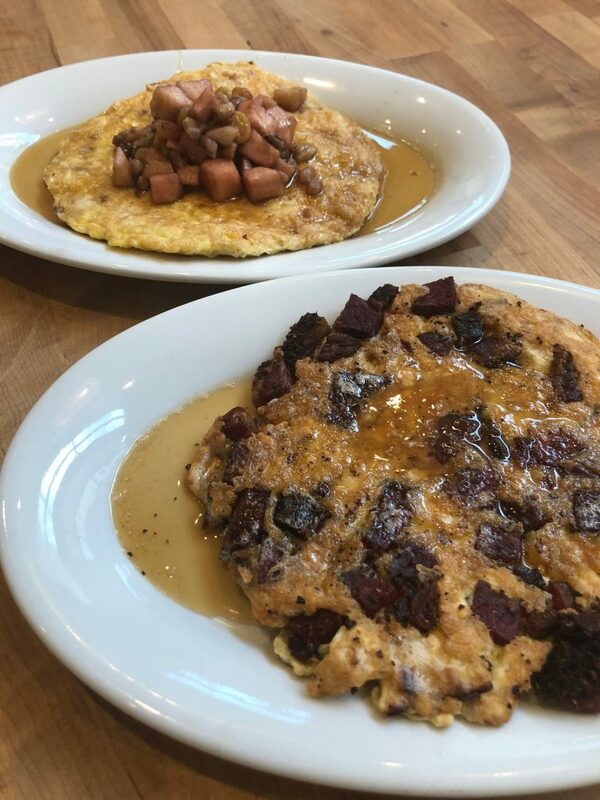 For the past five years, chef Todd Ginsberg has celebrated Passover with Atlanta’s Jewish community at his Emory Point deli, the General Muir. 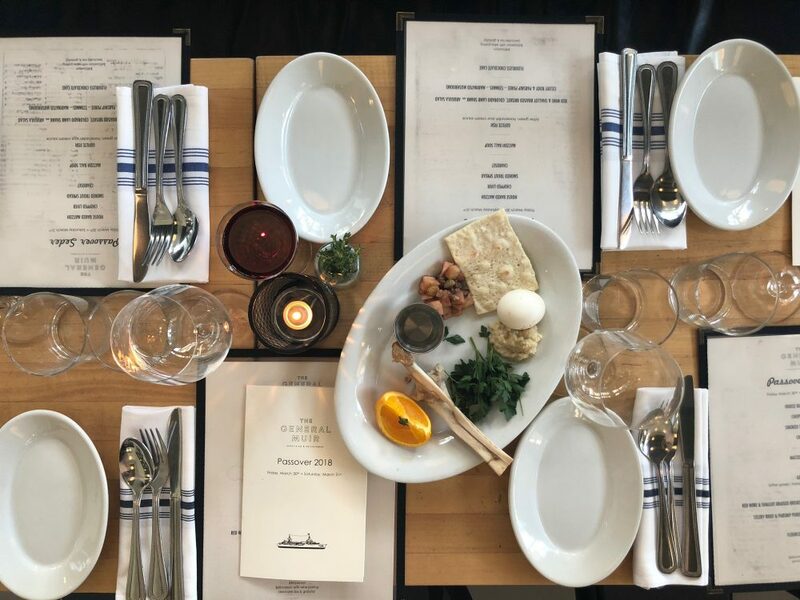 The restaurant hosts five-course seder dinners (a feast that marks the beginning of the week-long holiday), which this year will take place on April 19 and 20. The $55-per-person meal ($75 with wine pairings) features traditional Passover foods such as matzo (which is made in-house), chopped liver, charoset, gefilte fish, braised brisket, tzimmes (a sweet stew often made from carrots and dried fruit), and flourless chocolate cake for dessert. Those who observe Passover, which begins this year at sundown on April 19 and ends on April 27, abstain from eating leavened grains such as bread and pasta, among other foods. Ginsberg recommends Souper Jenny (soups and salads galore) and Masterpiece or Hong Kong Harbour (try the Szechuan chicken, he notes) for those looking for easy spots to dine out that week. Crumble matzo into ½-inch pieces into a bowl using your hands. Cover with water and let sit for 30 seconds. Strain off the water, reserving the moist matzo. Crack eggs into a bowl and whisk vigorously. Season with salt and pepper. Add matzo to eggs. Preheat a nonstick pan to medium-high heat. Add butter. When butter is frothy, add pastrami. When pastrami is slightly crisp, add egg-matzo mix to the butter. Turn down the heat to medium-low. When the egg has set on the bottom, flip it. When the egg is fully cooked (don’t let it get too much color) remove the brei and set it on a serving plate. Wipe out the pan with a cloth or paper towel. Add maple syrup to the warm pan, off the heat, for about 15 seconds. Pour the syrup over the matzo brei and eat immediately.